Our Story — Mango's Wood-Fired Pizza Co.
2 brothers who love REAL good pizza. Owner Stefan Ambrosch has been a pizza fanatic all his life. 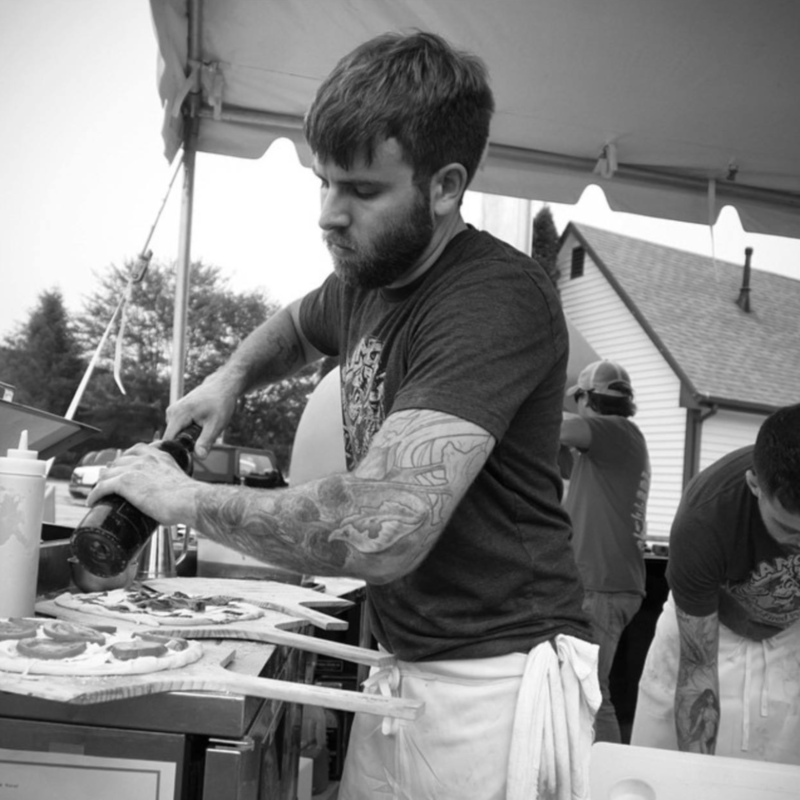 After extensive research and perfecting his craft (including his training under head chef at the famous Al Forno in Providence), in 2009 he opened Mango’s Wood-Fired Pizza Co. in a small shop with his brother Ben Hall. Mango’s quickly became a favorite among locals and tourists alike and they soon outgrew their location. In 2016, Mango’s expanded and refurbished a larger building across the path in Olde Mistick Village, which now houses the most unique pizza restaurant in all of New England. 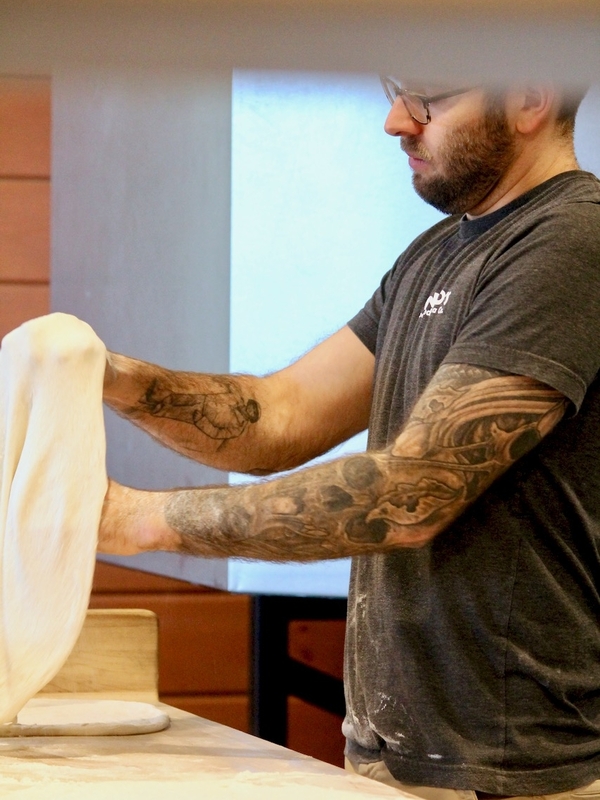 A massive wood burning oven is the center of an open kitchen which is the heart of our fresh baked breads for all of our sandwiches and of course, our pure pizza dough, made from scratch using old world tradition and simple ingredients. Stefan and Ben share a passion for great tasting, artisanal food served up in a relaxed, positive energy environment. we source many of our ingredients from local cheese makers, farmers, and purveyors to create the freshest and best tastes we can imagine. Our pizzas are all hand crafted with the finest ingredients. We cook everything in our giant wood fired oven using old world techniques. While you're here try one of our 52 rotating craft beers. We are all about creating the best food experience. This includes quality, locally sourced ingredients you can feel good about. 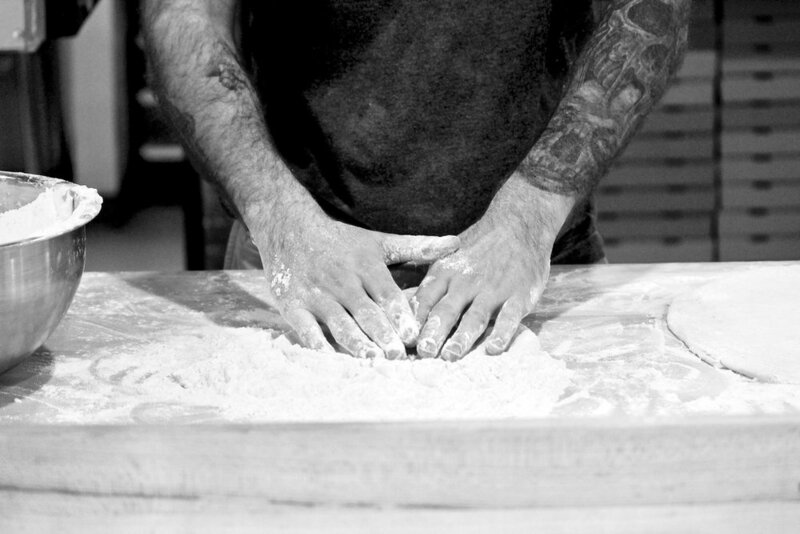 Our dough is pure and simple: flour, salt and yeast (no oil, no eggs). 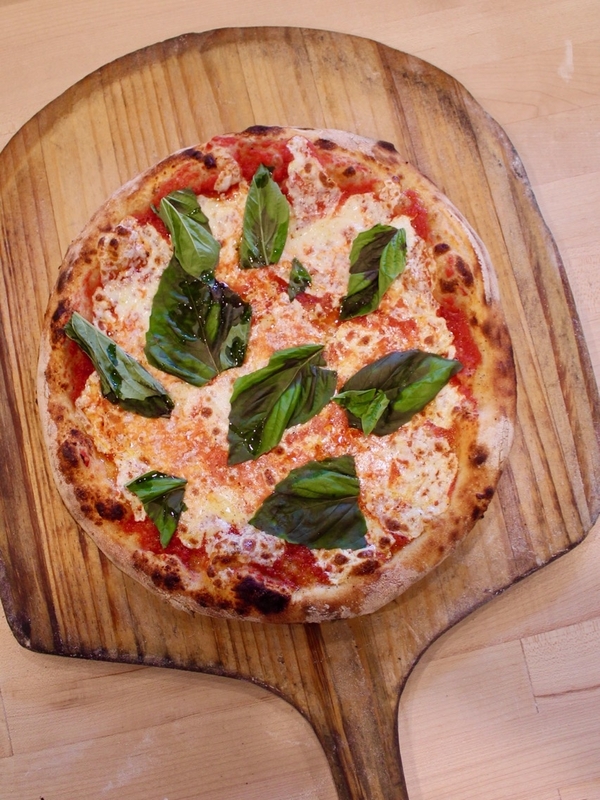 Pizza as it should be: easy, upbeat and totally delicious. We thrive in a positive kitchen and love busy nights in our large rustic dining room, bar and outdoor patios.